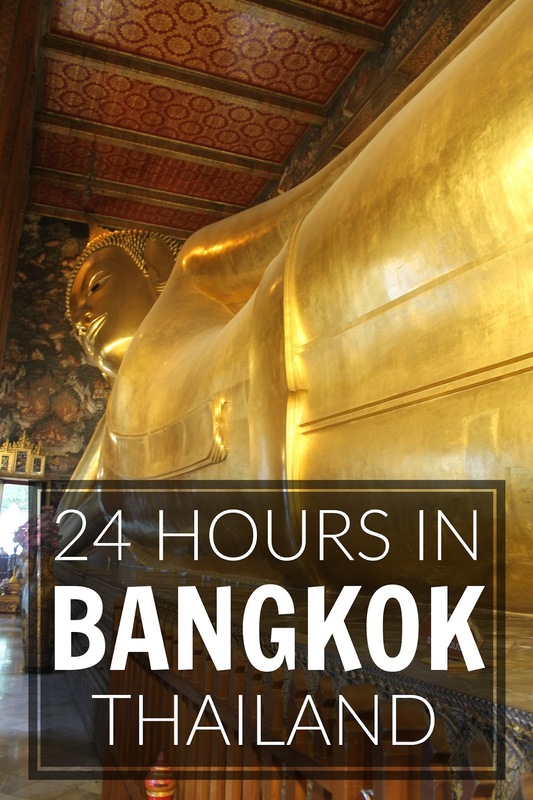 Life of Libby | Travel & Lifestyle: How To Spend 24 Hours In Bangkok, Thailand! How To Spend 24 Hours In Bangkok, Thailand! Bangkok, the capital of Thailand, is one of the most populated cities within South East Asia, and also has one of the largest airports in the region. Therefore, if you're planning a trip to the area, the chances are you're probably going to fly into the city! Bangkok can be overwhelming, and if it's your first visit to SE Asia, prepare for a culture shock. 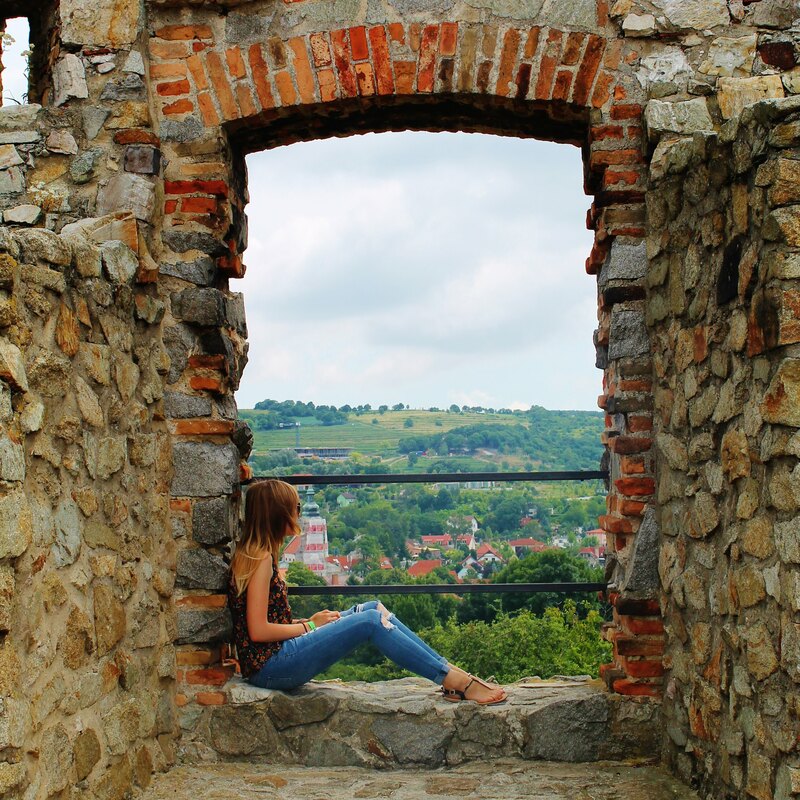 The sights, the food, the change of culture - it can be very different to what you're used to. But needless to say, this Thai capital (however noisy and busy it gets!) can be an amazing place to explore. The food is delicious, the temples are beautiful, and it's easy to get around. If you're planning a full backpacking trip across multiple countries, or maybe you're simply heading to the beaches, Bangkok is definitely worth at least a day of your time. For me, the city marked the beginning of my month long trip around SE Asia. I spent one chilled day exploring Bangkok, before getting the overnight train north to Chiang Mai, and this worked really well. It eased me in perfectly to the rest of my trip. To get an understanding of Thai culture and the Buddhist religion, head to the Ko Ratanakosin area near the Chao Phraya River. Around here you'll find the most well-known temples in Bangkok, including Wat Pho - home to the giant Reclining Buddha. Next to this, you'll also find the Temple Of The Emerald Buddha & Grand Palace. To enter the temples, visitors must wear clothes that cover the knees and elbows, and ignore any locals that try to tell you the temples are closed. After visiting these sites, head to the Tha Tien Ferry Terminal, as it's a great place to buy little souvenirs and trinkets. There are also amazing street food vendors making it the perfect stopping point for lunch. From here you can get a boat across the river and visit Wat Arun (Temple of Dawn). The ferry runs every few minutes and only costs the equivalent of a few pennies. Another popular place with tourists to check out is Khao San Road. There are two airports in Bangkok - Suvarnabhumi Airport and Don Muang Airport. The former one is the main airport used by almost all long-haul airlines, whereas Don Muang is used by more budget airlines flying short-haul. My boyfriend & I found this out the hard way when we met up in Thailand to start our trip. He flew from London into one airport, and I flew from Hong Kong into the other...Oops! The easiest way to get from either airport into the city centre is via taxi. You can pre-book a driver that will wait for you in arrivals with your name on a sign, or you can find a regular taxi from outside the airport. Just make sure that the driver has their meter on before you get in the taxi. Both options are reasonably priced. Once you've arrived in the centre, getting around couldn't be easier. You can opt to walk everywhere if you're staying in a nearby hotel, or if the weather is too humid there are tuk-tuks on almost every corner. Remember to barter and agree on a price before you begin your journey. Another option if you don't fancy using a tuk-tuk is to grab a taxi. They're brightly coloured and you can't miss them. Tim House is a great hotel that has basic double rooms for around £15 a night. The rooms are clean, and the hotel is centrally located, yet still in a quiet area. It takes roughly 15 minutes to walk to the Wat Pho and the Grand Palace. The highlight of this hotel though is that it's next door to an amazing pad thai restaurant - Thip Samai. You can get a huge portion for less than £1, and it's seriously good! Going Elsewhere In SE Asia? South East Asia couldn't be any easier to travel around. You rarely need to pre-book transport more than a day in advance (especially buses), and Bangkok is no exception. There are travel agencies selling cheap bus tickets everywhere, getting you to other parts of Thailand, and also into Cambodia. If you're planning on heading north to Chiang Mai, the overnight sleeper trains are incredible and more affordable than you might first think. Visiting The Temples Of Angkor In Cambodia!